Yersinia pestis, the etiologic agent of plague, utilizes a type III secretion system (T3SS) to subvert the defenses of its mammalian hosts. T3SSs are complex nanomachines that allow bacterial pathogens to directly inject effector proteins into eukaryotic cells. The Y. pestis T3SS is not expressed during transit through the flea vector, but T3SS gene expression is rapidly thermoinduced upon entry into a mammalian host. Assembly of the T3S apparatus is a highly coordinated process that requires the homo- and hetero-oligomerization over 20 Yersinia secretion (Ysc) proteins, several assembly intermediates and the T3S process to complete the assembly of the rod and external needle structures. The activation of effector secretion is controlled by the YopN/TyeA/SycN/YscB complex, YscF and LcrG in response to extracellular calcium and/or contact with a eukaryotic cell. Cell contact triggers the T3S process including the secretion and assembly of a pore-forming translocon complex that facilitates the translocation of effector proteins, termed Yersinia outer proteins (Yops), across the eukaryotic membrane. Within the host cell, the Yop effector proteins function to inhibit bacterial phagocytosis and to suppress the production of pro-inflammatory cytokines. We apologize to those whose work we could not cover due to space constraints. The work from the Plano laboratory cited and discussed in this review is funded by the National Institutes of Health/National Institute of Allergy and Infectious Diseases Grant AI101823 to GVP. KS was supported by AI53459 from the same institution. Galindo CL, Rosenzweig JA, Kirtley ML, Chopra AK. Pathogenesis of Y. enterocolitica and Y. pseudotuberculosis in Human Yersiniosis. J Path. 2011;2011:182051. doi: 10.4061/2011/182051. King JM, Schesser Bartra S, Plano GV, Yahr TL. ExsA and LcrF recognize a similar consensus-binding site but differences in their oligomeric state influence interactions with promoter DNA. J Bacteriol. 2013. doi: 10.1128/JB.00990-13. Journet L, Agrain C, Broz P, Cornelis GR. The needle length of bacterial injectisomes is determined by a molecular ruler. Science (New York, NY). 2003;302(5651):1757–60. doi: 10.1126/science.1091422. Mueller CA, Broz P, Muller SA, Ringler P, Erne-Brand F, Sorg I et al. The V-antigen of Yersinia forms a distinct structure at the tip of injectisome needles. Science (New York, NY). 2005;310(5748):674-6. doi: 10.1126/science.1118476. 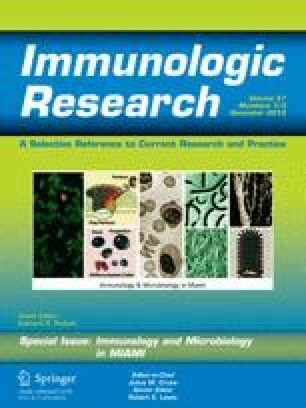 Marketon MM, DePaolo RW, DeBord KL, Jabri B, Schneewind O. Plague bacteria target immune cells during infection. Science (New York, NY). 2005;309(5741):1739-41. doi: 10.1126/science.1114580. Kolodziejek AM, Sinclair DJ, Seo KS, Schnider DR, Deobald CF, Rohde HN et al. Phenotypic characterization of OmpX, an Ail homologue of Yersinia pestis KIM. Microbiol (Reading, England). 2007;153(Pt 9):2941-51. doi: 10.1099/mic.0.2006/005694-0.